5.7 Earthquake hits the Kuril Islands. 5.1 Earthquake hits Golfo de Fonseca, Honduras. 5.0 Earthquake hits off the east coast of Kamchatka. Canada – Frigid temperatures and snow have expanded into Ontario and Quebec as a wave of cold air moves east. Snow has begun falling in the north of Ontario, and freezing rain is forecast in parts of Quebec. The sharply cooler temperatures are a result of frigid air pushed in by a powerful storm that hit Alaska with hurricane-force winds. Ireland – Flooding across several counties after heavy rain. The Irish Met Office has issued an orange warning, its second most serious category, for Dublin, Louth, Wexford, Wicklow, Meath and Monaghan. 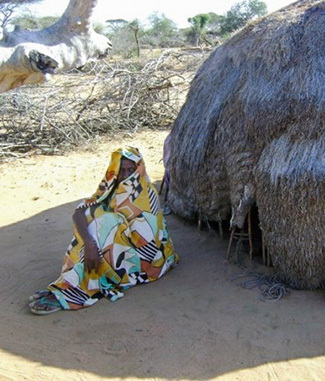 Days in northern Kenya have become so hot under climate change that some residents have turned nocturnal to escape the heat. Nightfall has become something to celebrate in Atheley and other villages, where afternoon readings in excess of 104 degrees Fahrenheit became common for the first time this year. The Thomson Reuters Foundation reports this has made farming, going to school and other daily activities a struggle. Villagers now take refuge in circular huts, waiting for sunset before venturing outside. Students attend classes between 6 p.m. and 9 p.m., then return at dawn for an additional two-hour session. New solar lighting technology, which charges up during the broiling daylight hours, has allowed these remote communities to adapt to nocturnal life. “I have lived in Atheley for 50 years and I have never witnessed such weather conditions, which have turned us into prisoners, forcing us to work at night when we are supposed to rest before another grueling day of trekking for water and herding livestock,” village elder Abey told freelance journalist Abjata Khalif. The week’s hottest temperature was 107.6 degrees Fahrenheit (42.0 degrees Celsius) at Mandora, Western Australia. The week’s coldest temperature was minus 57.6 degrees Fahrenheit (minus 49.8 degrees Celsius) at Russia’s Vostok Antarctic research station. On 11 November 2014, the Government of Uganda declared that Uganda was free of the Marburg virus. This declaration was made at the National Media Centre by the Minister of State for Primary Health Care, Hon. Sarah Achieng Opendi. On 4 October 2014, WHO was notified by the Government of Uganda of a case of Marburg virus disease. The case was a male health professional that developed symptoms on 11 September. On 17 September, the patient was admitted to a district health facility in Mpigi. He was later transferred to a hospital in Kampala. On 28 September, the case passed away and was buried on 30 September in Kasese district. On 9 November 2014, WHO was notified by the National IHR Focal Point for Portugal of a large outbreak of Legionnaires’ disease in Vila Franca de Xira, a suburban area of Lisbon. The first 17 cases were identified between 6 and 7 November. Since then, the number of cases has increased exponentially. On 12 November, the Directorate-General for Health of Portugal reported a total of 302 cases of Legionnaires’ disease. So far, 5 deaths have been confirmed to be caused by the disease. Four more deaths are currently being investigated. All cases have epidemiological links to the outbreak taking place in Vila Franca de Xira. Stromboli (Eolian Islands, Italy): Occasional mild strombolian explosions occur from the summit vents. Very weak lava effusion also continues, at least intermittently from the vent at 650 m elevation. Ontake-san (Honshu): JMA reported that cloud cover often prevented visual observations of Ontakesan during 5-11 November; white plumes rose 200-300 m above the crater rim and drifted NE, E, and SE. The Alert Level remained at 3 (on a scale of 1-5). Suwanose-jima (Ryukyu Islands): Tokyo VAAC reported a small eruption this morning, producing an ash plume to 6,000 ft (1.8 km) altitude. At least intermittently, the volcano continues to produce strombolian explosions of varying intensity. Mayon (Luzon Island): During 5-11 November white plumes rose from Mayon’s crater and drifted S, SW, WSW, WNW, and NW, sometimes downslope. Weak incandescence from the crater was noted some nights. As many as five volcanic earthquakes were recorded per day. The Alert Level remained at 3 (on a 0-5 scale). Ibu (Halmahera, Indonesia): When observed during 12-13 Nov, there was frequent mild to moderate explosive activity from at two different vents in the center of the lava dome. No activity was observed at the lava dome itself. The vent to the south is surrounded by a recent-looking cinder cone, about 30 m tall and 60 m wide, and produced likely phreatomagmatic explosions at intervals of 20-30 mintues. These typically seemed to start from a cluster of vents inside the cone’s crater, ejecting dense white steam as well as gray ash plumes, sometimes followed by dense black tephra jets reaching 10-20 m in height. Sometimes, the ash plumes collapsed to form small pyroclastic flows running down the western slope of the cone. At night, weak incandescence could be seen and only few glowing blombs were ejected during these eruptions. Monowai (Kermandec Islands, New Zealand): New Zealand scientists concluded that most likely 3 underwater eruptions occurred during this October at the shallow submarine volcano, one of the most active ones in the Tonga-Kermadec arc. This conclusion was based on both the observation of a pumice raft in the area on 31 Oct and the analysis of so-called T-waves, a particular kind of acoustic waves that propagate well in the ocean and have been found to be typically associated with submarine eruptions from Monovai seamount. Santiaguito (Guatemala): Both explosive and effusive activity continue from the Caliente lava dome. The observatory reports weak ash explosions ejecting plumes that rise approx. 500 m. The length of the viscous lava flow to the SE is now more than 3.3 km long and has two active fronts, one inside the Nima1 river bed, the other outside its banks. Pacaya (Guatemala): It seems new strombolian explosive activity has started around 10-11 November from the Mackenney crater. INSIVUMEH reported in its special bulletin that an increase in gas emissions as well as fine ash expulsions have been observed. Together, they form plumes reaching 3000 m altitude and drifting SW for approx. 7 km. The seismic signal shows elevated activity as well. This could be the beginning of a new episode of strombolian activity, which in turn would slowly start building a new cone inside the Mackenney crater. Fuego (Guatemala): Explosive activity from the volcano has slowly been increasing over the past 1-2 weeks. Eruptions of moderate size with ash plumes up to more than 1000 m height have become more frequent. Shock waves could be felt in up to 20 km distance and rattled windows and roofs of houses in villages around the volcano. Reventador (Ecuador): IG reported moderate volcanic activity including explosions, long-period earthquakes, harmonic tremor, and tremor at Reventador during 5-11 November. On 11 November steam plumes with a minor ash content rose 1 km and drifted NW. Cloudy conditions frequently obscured views of the summit.